Picture from simon3 : Helicopter and load. 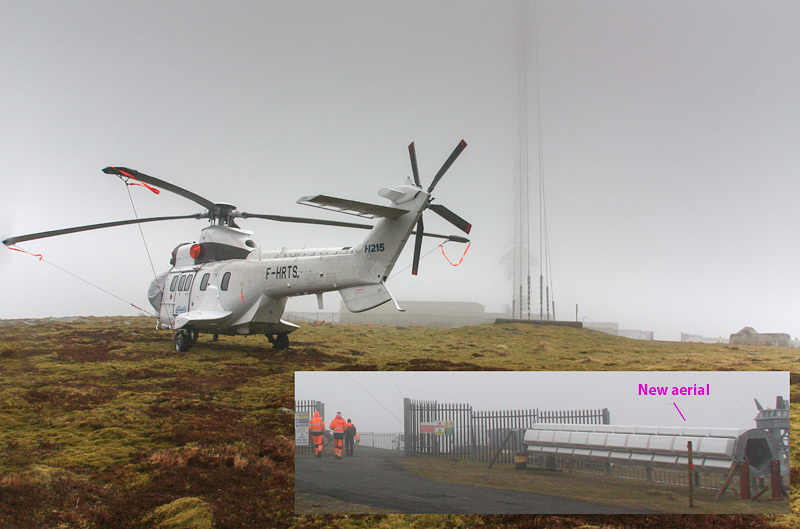 Spare a thought for the guys who actually have to work on transmitters on the top of mountains. We visited Kippure on a cold day with a breeze. If I understood what the guys there were saying they were putting a new aerial as in photo on to the very top of the mast. This involved working on the top. It looks like the heavy lifting was going to be done by the helicopter.